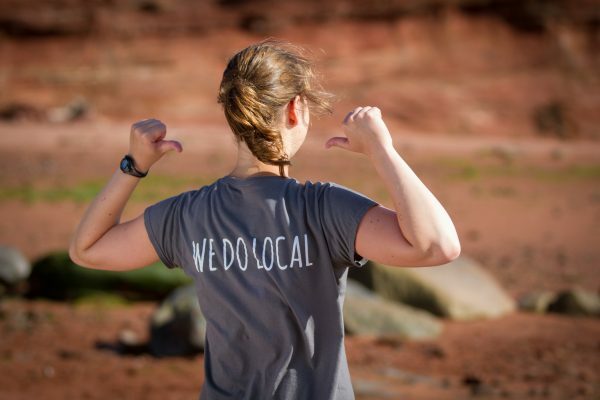 If you love local, our Ultimate Local Getaway Package is for you! This package includes: 2 Demo Class Registrations, Dinner on Friday night (in your class), our Meet Your Farmer Dinner on Saturday night, Accommodations for 2 nights, Breakfast each morning, and Tasting Certificates to Meander River Farm & Brewery and Avondale Sky Winery! 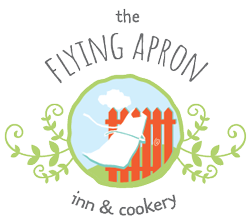 At The Flying Apron, we like to say that the perfect getaway isn’t far away. Now you can experience the very best local flavours with our newest offering, the Ultimate Local Getaway. Begin your weekend getaway with an Eating Local Cooking Class on Friday night that includes a 3-course meal featuring local ingredients. Tour our lovely area on Saturday to visit Meander River Farm and Brewery and Avondale Sky Winery for complimentary tastings and take in a hike or sightseeing. Attend our Meet Your Farmer Dinner on Saturday night for a wonderful evening centered around local food. The package includes accommodations in our charming Inn on Friday & Saturday nights and a hot breakfast each morning. Sit back, relax and let Chef Chris make your dinner! In our demo classes you get to watch and learn from the Chef over 2 hours. Share a full meal with your classmates during the demo and take home the recipes for the dishes made in the class. Our popular Meet Your Farmer Dinner evenings are our favourite events of the year. We celebrate local food with a wonderful buffet and lively local food conversations. Three farmers/food producers will give a brief talk about their business and speak to a pressing Nova Scotia issue in their sector, while you enjoy a scrumptious buffet and dessert. West Hants is home to two award-winning craft beverage producers. Your package includes tasting certificates for Avondale Sky Winery and Meander River Farm & Brewery. You will travel through rolling hills and take in some gorgeous vistas as you wind your way through West Hants to visit these great businesses. With retail shops at each stop and some great local hikes nearby, you will savour more than just great wine and beer during your tour of our area. Your package includes accommodations for 2 nights in our charming 5-room Inn, including a hot, fresh farmhouse breakfast each morning!